Investors often refer to startup accelerator programs like Y Combinator, TechStars, and 500 Startups as a way to “index” the startup investment market. But how dramatically does this set of companies dominate the early stage VC market? 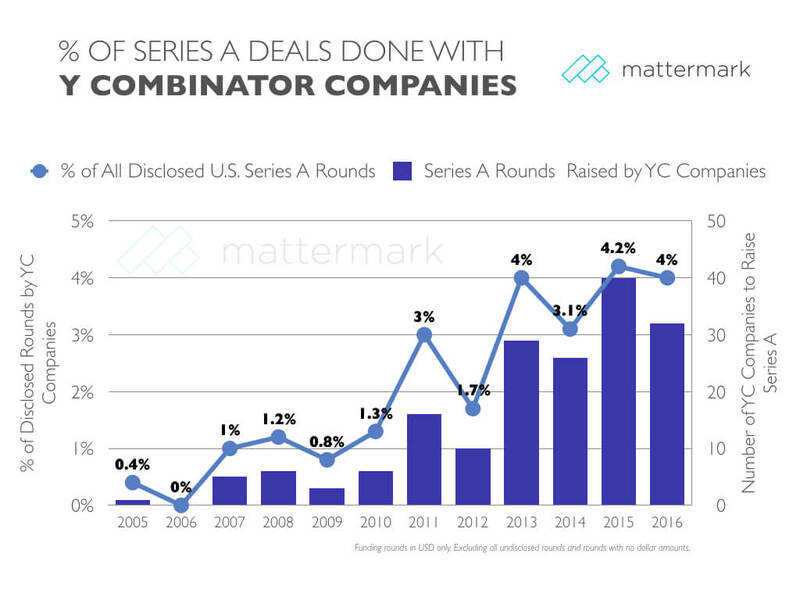 How many Series A entrants into the VC funding funnel come through Y Combinator?